Our Agency's Story; What is the Best CRM System? HOME // BLOG // Our Agency's Story; What is the Best CRM System? We needed a really simple to use, Customer Relationship Management (CRM) System. An organised system that followed our prospects from their first ever communication with us to a sale and beyond, that kept our pipeline in check and a platform that grew with us. This is basically our story of how we chose our CRM and why. Hopefully this blog will help you decide and stop you from making one of the biggest mistakes that people make when choosing a CRM. For an insight into using a free CRM before you give it a go, download our gift to you (A beginners Guide to CRM). In the early days our CRM evolved from email marketing. When we realised that our database in Campaign Monitor was no longer adequate, we knew something had to change. We needed to forecast deals, analyse who, why and when and report this. We wanted to measure every interaction that a contact had with us. The painful realisation that customers were getting lost or forgotten was a very difficult pill to swallow. We needed to find out: what is the best CRM system? We discovered a minefield, the choice was so huge that it seemed like a mountain we had to climb. To make life easier we started by chopping the CRM list down by capability. This shortened the list significantly and quickly. We then looked at price v' value and whether the CRM had the capacity to grow with our agency. Once we'd made the decision we didn't want to move all our contacts over into another CRM so it was crucial we chose the right CRM to grow with us. Our next step is one that we would definitely recommend to anyone wanting to use a new CRM or move to one: Talk to similar businesses about their choice of CRM, what influenced their decision and why. Then we did the all important trial to ensure it was a good fit for our team. It's amazing what you can get out of a free trial. We put three CRM's through their paces! It may sound onerous but we only wanted to choose a CRM once. With a small sales team and ambitious growth plans, we needed something easy to use in-house but with a level of automation to cover repetitive tasks. Not being able to see everything in one integrated package. More expensive compared to most CRM's. Many of their tools we wished to use were unfortunately 'add ons' and not all included with the main software package. Unlike some of their competitors, Salesforce does not permit users to have multiple roles. Training, support and professional services were limited and extremely costly. Salesforce CRM comes without sophisticated business intelligence (BI). We needed data warehousing/mining, online analytical processing (OLAP) and predictive analytics. The company operates fewer international data centres than many of its competitors. This impacts user performance, concerns with regard to data privacy and government compliance. This was a concern for us being based in the UK. We found this difficult to use and training new recruits could be time consuming. 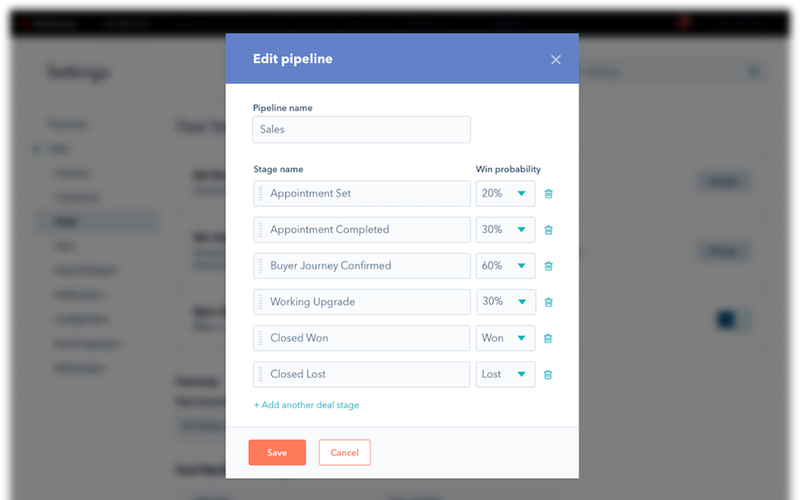 Workflows didn't track sales in real time, which was vital for us and anyone when managing your sales pipeline. Randomly Sage seemed to struggle to delete obsolete contacts. It is designed for only small/med companies so we were concerned that we would outgrow this CRM. You can't have a contact/company with multiple addresses. We couldn't find a way of setting up an opportunity pipeline with automated emails and tasks for repeat opportunities. HubSpot greets you with a 'Dashboard' page which shows the number of views, clicks, leads and sales per day/month/year and at a glance it shows us whether we are hitting our goals in all areas (or not). Training and resources are included with HubSpot which is hugely valuable for a growing team. Greater control over a prospect and their lifecycle (not a prospect missed or over-looked). The sales team loved the reminder function where tasks and actions could be scheduled. Email marketing campaigns and real-time deal status alerts. 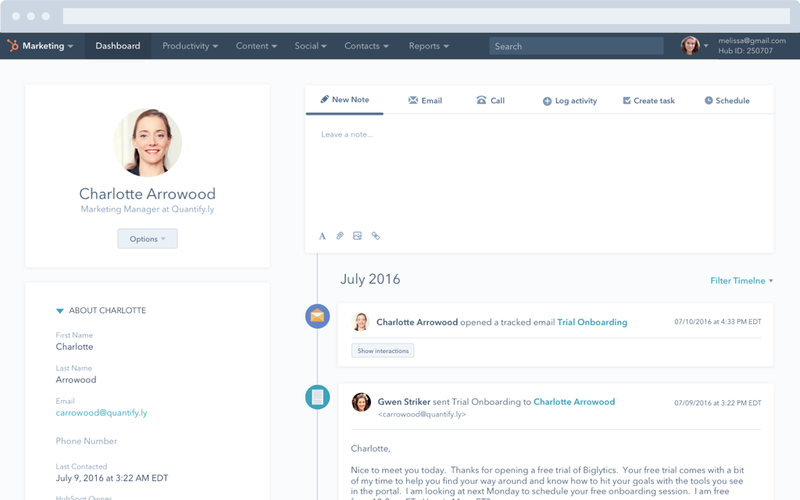 The CRM records and creates a timeline of tasks, emails, calls, website page views, something that we all loved. Easy to use reporting and analytics tools (historical and immediate as well as predictive). Access via mobile and all our other devices. These are just some of the features that we liked but it's worth heading over to HubSpot to check out the full list of features. Also HubSpot's blog on how to choose the best free CRM system is worth a read. The HubSpot CRM system exceeded our expectations by being an all encompassing, fully integrated sales and marketing platform. For an insight into this free CRM before you give it a go, download our gift to you (a step by step guided checklist in setting up the CRM). The personalisation of the HubSpot software is light years ahead of both Salesforce and Sage. 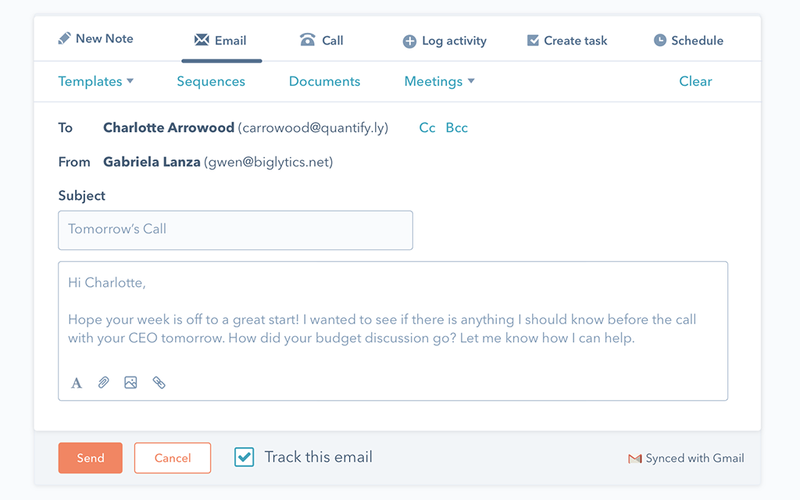 The ability to send emails from the CRM and automatically personalise them and automate them in sequences of tasks and emails depending on the contacts response is really clever. This takes sales outreach to a new level! The best way of learning how to use something (especially software) is by experience; learning on the go. As was the case with us when setting up our CRM. But all of this takes time. Get your team up to speed quickly by scheduling in a call with one of our sales consultants who will help you to get the most out of your free CRM and managing your sales pipeline. In setting up our own CRM we made some helpful notes which we've converted into a check list to help you. Download our free step by step checklist and give the free HubSpot CRM a go. Compare it to other CRM's and let me know your thoughts and comparisons.